Space for civil society and citizen activism has been almost totally destroyed following a government crackdown in 2015 when citizens protested against the incumbent president’s bid for a third term. Many ordinary civilians and civil society activists have been killed, police have repeatedly used excessive force against protestors and detainees have been brutally tortured. On 28th February 2019, the UN Human Rights Office in Burundi was closed at the insistence of the government, who claimed that the existence of the office was no longer justified as the country had made sufficient progress in putting in place national mechanisms for the protection of human rightsand. As reported previously on the Monitor, in December 2018, the government ordered the United Nations Human Rights Council (UNHRC) to shut down its office within two months. 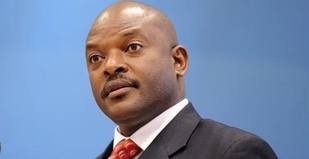 Earlier in October 2016, the government – in reaction to a damning report by the UN Independent Investigations in Burundi established by the UN Human Rights Council – suspended all cooperation with the Office. The report had identified government officials, accusing them of ordering the torture and execution of opposition members. In other developments, Emmanuel Nshimirimana, Aimé Constant Gatore, and Marius Nizigiyimana, members of the campaign group Parcem, remain in detention despite being acquitted by a Burundian court after appeal on 27th December 2018. As previously reported on the monitor, the three were arrested in June 2017 while planning a human rights workshop, and were later sentenced to ten years in prison on charges of undermining state security in in May 2018. "We demand that all Burundians who are in prison for their opinions be released." #Burundi: Opposition party CNL says members are threated, arrested and ill-treated by officials. Agathon Rwasa, the leader of the party says that hundreds of his party members were arrested these last days. On 14th February 2019, six National Congress for Liberty (CNL) political party members were detained in Mugina Commune after holding a meeting. They were arrested by authorities who accused them of gathering illegally, despite the fact that the party was officially approved by the Ministry of Home Affairs earlier the same day. In a similar incident, on 12th January 2019, police arrested and tortured former Burundi Prime Minister Adrien Sibomana, in Cibitoke Province. It was reported that police agents had accused him of theft three days prior to his detention. Sibomana, a member of the opposition coalition Amizero y’Abarundi, refused to join the ruling CNDD-FDD party. His relatives raised concern that they have been unable to gain access to him. Burundian civil society grew in size and influence after the mid-1990s and made important contributions to deepening democracy, including during free and fair elections in 2005 when the civil war ended. Burundian civil society grew in size and influence after the mid-1990s and made important contributions to deepening democracy, including during free and fair elections in 2005 when the civil war ended. As a consequence of its influence, organised civil society has been one of the main targets of the government’s latest crackdown. In 2016, the authorities continue to harass, arrest, brutalise and in some cases detain, kill or cause the disappearance of civil society leaders as well as individual activists (including students) who took part in the anti-third term demonstrations in April 2015. Following the attempted assassination of prominent human rights defender Pierre Claver Mponimba in August 2015, two members of his family were brutally murdered. In November 2015, the government froze the bank accounts of fourteen prominent CSOs, including several human rights organisations, a move which has seriously impeded civil society’s ability to conduct human rights monitoring and advocacy. As a climate of fear prevails, many civil society leaders have been forced into exile in order to avoid arrests, violent attacks and assassination attempts. Enforced disappearances of human rights defenders are also a concern. For example, Marie-Claudette Kwizera, treasurer of a prominent human rights organisation, Iteka League, was allegedly abducted by the National Intelligence Services on 10 December 2015 and remains unaccounted for. Even though article 32 of Burundi’s constitution protects the right to peaceful assembly, public demonstrations in Burundi have become almost impossible in the wake of the sustained use of excessive force by security forces. Even though article 32 of Burundi’s constitution protects the right to peaceful assembly, public demonstrations in Burundi have become almost impossible in the wake of the sustained use of excessive force by security forces. Peaceful demonstrations in April 2015 against an extension of the president’s mandate sparked a brutal assault by police on demonstrators, during which they were recorded using live ammunition, shooting people at point blank range and even shooting demonstrators in the back as they ran away. Other threats to the freedom of assembly come from a regressive public gatherings law which prevents spontaneous gatherings, and impunity for frequent assaults on demonstrators by non-state actors, including by the ruling party’s youth wing Imbonerakure. Prior to the crackdown on free media in 2015, Burundi’s World Press Freedom Ranking was already a lowly 142nd, having been as high as 72nd a decade earlier. Prior to the crackdown on free media in 2015, Burundi’s World Press Freedom Ranking was already a lowly 142nd, having been as high as 72nd a decade earlier. In a clear violation of constitutional protections, the government has stamped out most if not all independent journalism in Burundi through the closure of radio stations and attacks on individual journalists. As traditional media have been closed off, reporters have formed a new online reporting collective, SOS Médias Burundi which continues to provide reports on human rights violations within the country through social media channels. With Internet penetration at just 1.4%, for most Burundians news other than state propaganda is hard to access.